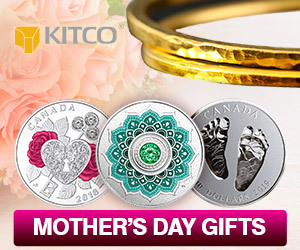 (Kitco News) - Gold prices are modestly higher and silver near steady in early U.S. trading Wednesday. The metals and other markets are pausing ahead of this afternoon’s statement from the Federal Open Market Committee and press conference from Fed Chairman Jay Powell. April gold futures were last up $1.30 an ounce at $1,307.80. May Comex silver was last off $0.017 at $15.35 an ounce. Trader and investor focus is on the FOMC meeting that began Tuesday morning and ends Wednesday afternoon with a statement. The FOMC is not expected to change U.S. monetary policy at this meeting. The Fed has become more dovish the past few months. As usual, the marketplace will glean the FOMC statement and Fed Chairman Jerome Powell’s wording for clues on the future path and timing of monetary policy changes. Markets, including the precious metals, could become more active this afternoon, in reaction to the FOMC statement or remarks from Powell. Asian and European stocks were mostly higher overnight. Risk appetite in the world marketplace remains upbeat, as there are no major geopolitical matters moving the world markets. U.S. stock indexes are pointed toward narrowly mixed openings when the New York day session begins. News reports are saying the U.S. and China are moving closer to a formal trade agreement after the two largest economies in the world fought a trade war for months. Reports said U.S. Treasury Secretary Mnuchin and U.S. Trade Representative Lighthizer are traveling to China next week for high-level discussions to try to get a deal wrapped up. Some are now speculating that a deal will be reached, but it won’t include important demands the U.S. had made, such as theft of intellectual property. The key outside markets today see the U.S. dollar index slightly firmer on an upside correction after hitting a three-week low Tuesday. The greenback bulls have faded recently. Meantime, Nymex crude oil prices are modestly lower and trading just below $59.50 a barrel. Oil prices hit a four-month high Tuesday. U.S. economic reports due for release Wednesday include the weekly MBA mortgage applications survey, the weekly DOE liquid energy stocks report, and the FOMC statement and Powell press conference. May silver futures bulls have the overall near-term technical advantage. Silver bulls' next upside price breakout objective is closing prices above solid technical resistance at $15.75 an ounce. The next downside price breakout objective for the bears is closing prices below solid support at the March low of $14.985. First resistance is seen at this week’s high of $15.45 and then at last week’s high of $15.55. Next support is seen at this week’s low of $15.22 and then at last week’s low of $15.135. Wyckoff's Market Rating: 6.0.